The Millie Rotman Shime Academic Bridging Program helps people who have been away from formal education for some time take the first step toward university studies. Each student takes one course that not only helps them meet admission standards, but also later counts toward their degree. The program was named in honour of Millie Rotman Shime, a teacher. Her father, Manny Rotman, graduated from Woodsworth in 1985 at age 76. He and many other family members and friends wished to commemorate Mrs. Shimes’ memory by helping others who shared her passion for learning. Since its inception, well over 10,000 students have completed the program, with a vast majority going on to study full-or part-time in the Faculty of Arts and Science. A recent addition to the College’s access offerings is the Diploma to Degree Program. This is a pathway to university studies for students attending two-year liberal arts diploma programs at one of our partner community colleges: George Brown, Humber and Seneca Colleges. The program is designed for students to transfer into programs in the social sciences and humanities. 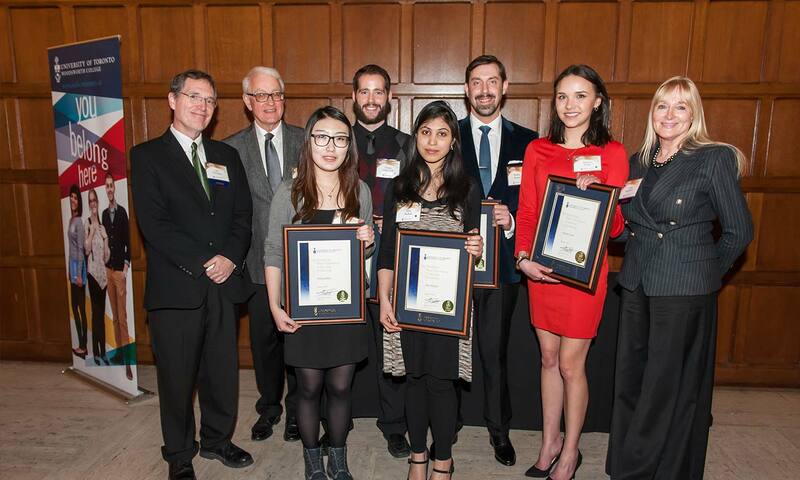 When the students graduated they have both a diploma from their respective college and a degree from U of T.
In 2015, a graduating Diploma to Degree student won the prestigious Brookfield Peter F. Bronfman Scholarship. Students in both these programs require support in order to fulfill their dreams of attending and then graduating from university. Support key priorities of the ​Woodsworth College through a secure online donation.